Distinguished Professor Michelle Craske has been named the 2017 recipient of the Distinguished Scientist Award from the Society for a Science of Clinical Psychology (SSCP), a premier organization for academic clinical psychology. The award is the highest honor that the organization can bestow on individuals who have made an extremely important career contribution to the science of clinical psychology. 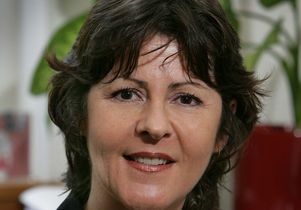 Michelle G. Craske, Ph.D., is UCLA Professor of Psychology, Psychiatry and Biobehavioral Sciences and the Director of the Anxiety and Depression Research Center, and Associate Director of the Staglin Family Music Center for Behavioral and Brain Health, at the University of California, Los Angeles. She is also a member of the Executive Committee of the UCLA Depression Grand Challenge (Co-Chair, Human Studies section). She has published extensively in the area of fear, anxiety and depression. In addition to over 392 research articles, she has written academic books on the topics of the etiology and treatment of anxiety disorders, gender differences in anxiety, translation from the basic science of fear learning to the understanding and treating of phobias, and principles and practice of cognitive behavioral therapy, as well as several self-help books and therapist guides. In addition, she has been the recipient of National Institute of Mental Health funding since 1993 for research projects pertaining to risk factors for anxiety and depression among children and adolescents, cognitive and physiological aspects of anxiety and panic attacks, neural mediators of behavioral treatments for anxiety disorders, fear extinction mechanisms of exposure therapy, implementation of treatments for anxiety and depression in primary care and community clinics, and constructs of positive valence and negative valence underlying anxiety and depression. She is Editor-in-Chief for Behaviour Research and Therapy and Associate Editor for Psychological Bulletin, a scientific board member for the Anxiety and Depression Association of America, and a member of the DSM-5 Steering committee. She is currently President of the Association for Behavioral and Cognitive Therapy.